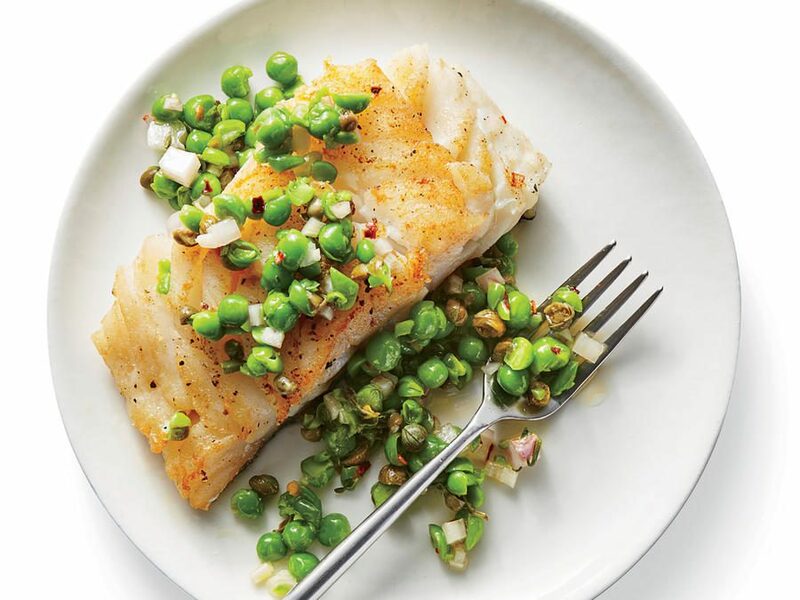 Top simply seasoned cod fillets with a fresh spring relish of peas, shallots, capers, lime juice, oregano, and red pepper. 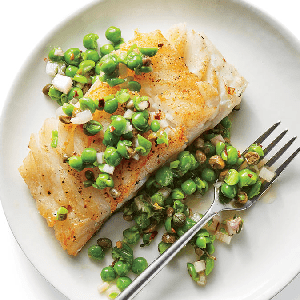 Combine peas, oregano, shallots, capers, lime juice, 2 Tbsp. olive oil, 1/4 tsp. kosher salt, and crushed red pepper. Sprinkle 1/4 tsp. kosher salt over cod fillets. Heat a nonstick skillet over medium-high. Add 1 Tbsp. olive oil and cod; cook 4 minutes per side.